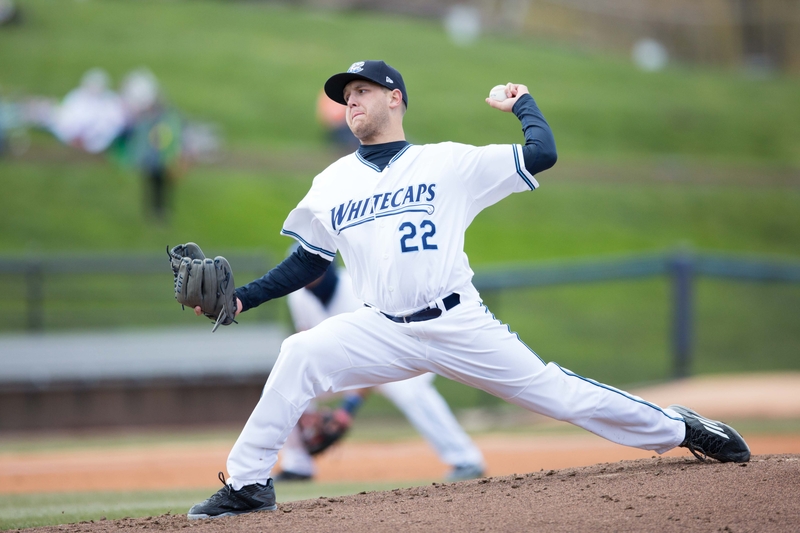 West Michigan Whitecaps LHP Matt Hall continued his dominance of Midwest League batters Tuesday, scattering two hits and three walks while striking out seven in five scoreless innings against the Great Lakes Loons. Hall earned the win, improving to 7-0 this season, and lowered his league-leading ERA to 0.65. The Detroit Tigers prospect’s 63 strikeouts rank second in the Midwest League, one behind Wisconsin Timber Rattlers RHP Marcos Diplan, and one ahead of four other MWL pitchers. This entry was posted in Great Lakes Loons, Midwest League, West Michigan Whitecaps, Wisconsin Timber Rattlers. Bookmark the permalink.